If you walked up to the Chandelier Bar at Cosmopolitan Las Vegas and asked for the “Flower Drink,” there is a good chance that the people around you might be a bit confused. However, head to Chandelier 1.5—the level of the Chandelier Bar at the Cosmopolitan that is between the casino and the 2nd floor—and ask for the Verbena. You'll be rewarded with one of Las Vegas's best drinks. Chandelier 1.5 is an award-winning bar known for its creative, handcrafted cocktails, the Verbena included. Mariena Mercer is the lead mixologist on the property and is responsible for what is happening behind the bars of the resort. From Bond to The Vesper, the culture of the cocktail is one to be sought out at Cosmopolitan of Las Vegas. The seasonal list of drinks is so enticing that you could easily make the Chandelier Bar the focus of your pilgrimage to the Las Vegas strip. Some cocktails are reminiscent of Thai cuisine in a glass crossed with a sweet dessert. Others have flavors of popcorn and may evoke midnight movies at the big screen. Mercer described a camping experience through a cocktail that had smoke lingering in the air. She also makes a mean Old Fashioned, called the “Infinite Playlist." The menu changes often, so if you plan on ordering your regular drink, this is not the place. 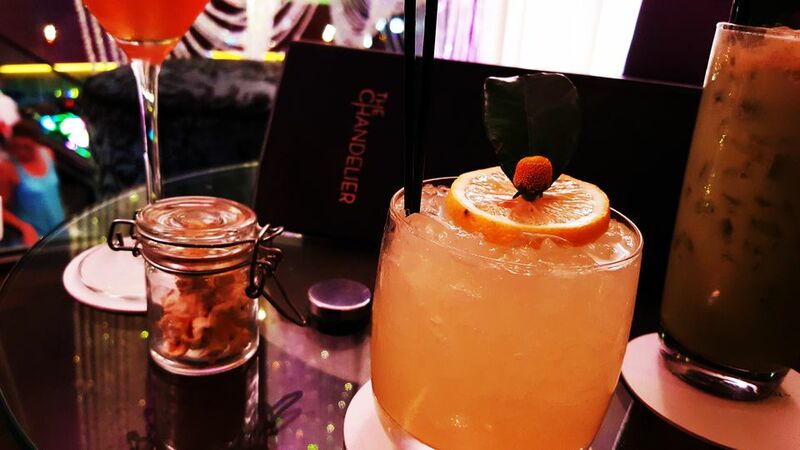 Instead, it's smart to go to Chandelier Bar Level 1.5 and try something new every time because it would be a shame to miss what was on the radar for the coming season. Even though it's the most popular drink at the Cosmopolitan, the Verbena isn't even on a menu. Luckily, it is still always on offer on Chandelier Bar 1.5. Those who are in-the-know typically order it by name or just ask them for the flower drink. You'll be told to chew a flower called the “Buzz Button” (the technical name is Szechuan Button, a yellow, edible blossom), and in an instant, your senses are heightened. The specialty cocktail is a take on a margarita with an extra flash of happiness that comes in the form of lemon verbena and ginger. Pop in some yuzu juice and lime leaves, and you have a drink that is indeed the definition of a destination cocktail. Chandelier Bar at Cosmopolitan is open daily from 10 a.m. to 11 p.m. The Chandelier Bar has three levels: 1, 1.5, and 2. Each level and each bar serves its own specialty cocktails. Level 1.5 has the most unique drinks, such as the Verbena, and also offers bottle service. The Cosmopolitan Las Vegas has a total of 20 dining concepts, including Beauty & Essex, Blue Ribbon, China Poblano, é by José Andrés, Eggslut, Estiatorio Milos, The Henry, Holsteins, Jaleo, The Juice Standard, Milk Bar, Momofuku, Overlook Grill, Rose. Rabbit. Lie., Scarpetta, STK, Wicked Spoon, Zuma, and more.